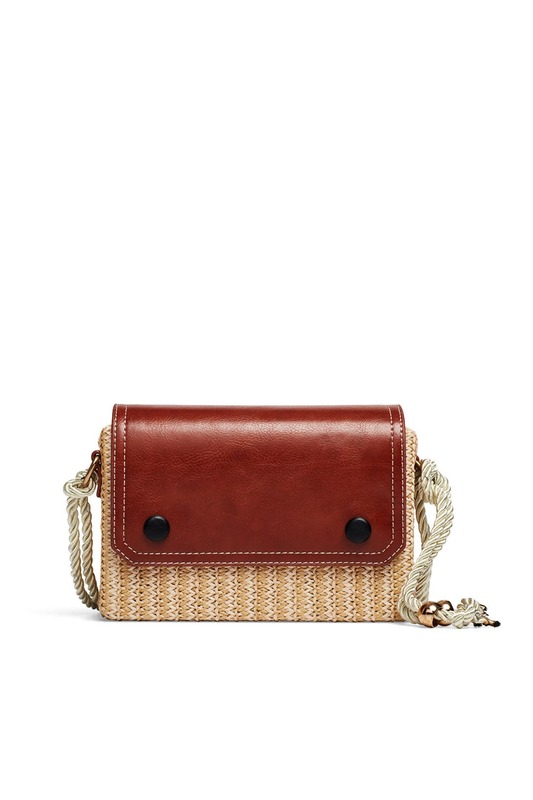 A leather snap front flap elevates the beachy vibes radiating from this raffia crossbody bag by Area Stars. 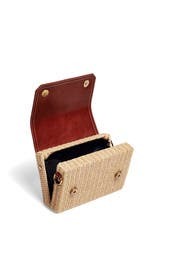 Woven crossbody box bag with leather top flap and snap closures. 19" strap drop. 4.75"H x 7.5"L x 2.25" D.